Energy prices in Germany and Europe hit record lows as solar output increases. And there’s more to come. Renewable energy critics and opponents continue to zoom in on the intermittent nature of solar and wind energy in their efforts to undermine and derail the transition away from centralized, mass production of energy based on burning fossil fuels. Even at this early stage of a much belated evolutionary process, empirical evidence and ongoing technological advances, as well as pro clean energy and sustainable development polices and market developments, highlight the fallacy of their arguments. Observed evidence (two examples here and here) indicates that coupled with adequate grid infrastructure and energy policy reform, solar and wind power generation — on and off-grid — can reduce carbon and greenhouse gas emissions and enhance the security and resiliency of power supplies without putting an excessive burden on consumers. Not only does this benefit the environment and the health, well-being, and opportunities of current and future generations, but it’s also generating thousands of jobs and billions of dollars of investment and tax revenue each year. Among developed countries, sunny Germany’s been at the forefront of the global drive towards building low-carbon societies based on clean, renewable energy resources, such as solar and wind energy. Decades of private sector lobbying and practices and government policy actions — related to the banking/financial and energy sectors in particular – all but brought down the US and international banking and financial system, led to global recessions, and have prompted wars, conflicts, growing inequality, and a pervasive sense of uncertainty and fear. In contrast, federal government actions and energy policy reform in Germany have created an environment and conditions that have diversified, expanded, and made Germany’s economy more dynamic, robust, and resilient; driving employment to record-high levels and improving social and environmental conditions. No doubt Germany is struggling to overcome obstacles and resistance to Premier Angela Merkel’s plan to eliminate reliance on nuclear power by building out solar and wind power generation capacity as replacements. This shouldn’t come as a surprise to anyone who cares to familiarize themselves with such revolutionary challenges. In fact, they make Germany’s success in this regard all the more remarkable. 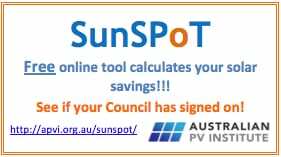 “The unsubsidized solar growth should drive wholesale power prices further down,” Lekander added. The availability of electricity generation capacity in Germany is expected to rise, with national electricity production forecast to increase to 64,200 megawatts (MW) on January 21 from 63,600 MW today, according to data from the European Energy Exchange’s Transparency Platform. This article was originally posted on Cleantechnica. Re-posted with permission. Very interesting article. The links in the third paragraph are missing – would be good to see them.